At our healing center, we offer massage therapy for a non-surgical solution to back, neck, and joint pain. Manipulating your muscles and soft tissues, we can isolate pain and reduce your discomfort to promote overall wellness. 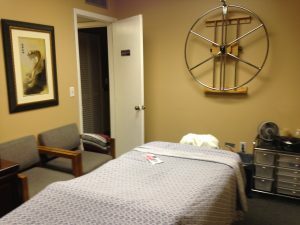 Whether you have been in an accident, have chronic issues, or are looking for a one-time solution to reduce the tension in your neck, back, and spine, our massage therapist customizes your massage to meet your specific needs. If you have pain and are looking for a simple solution, contact us today. And remember to take advantage of our introductory special. Book your appointment now and let us take your pain away the right way.